What's also good about nature's thermostat going down is the beginning of the comfort eating and toasty drinks season. 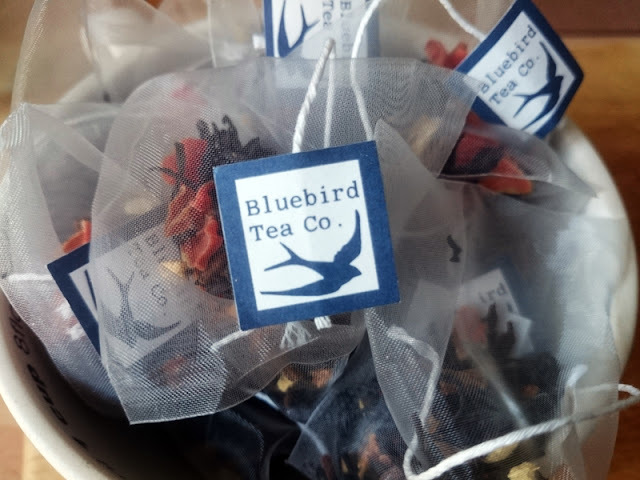 I've made my love of Bluebird Tea Co. no secret in the past and they definitely celebrate my favourite season with their quirky blends. Forever inventing, they take flavoured tea and turn it on its head like the tea rebels they are. Not all of it is too my taste but that's what's good about it - something for everyone from those with a sweet, sweet tooth to those that prefer their drinks a little more grown up. 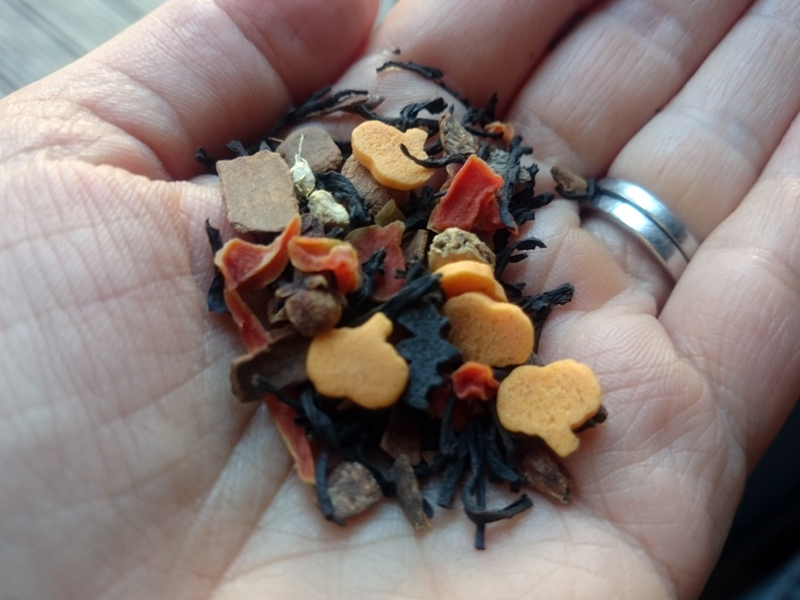 Their chai blends are particularly noteworthy, I've not tried a duff one yet. New this season is the Lapsang Chai with pinewood smoked black leaf and masala spice which is the most manly tea on the planet. Hairs on chest stuff, in a good way. They have also released a Bananas and Custard (what did I say?) caffeine free earl grey rooibos blend which I fear to try but I was not expecting to like the Choco Pops so much - a toasted rice puff and chocolate chip black tea. Seriously? What sort of genius mind comes up with this stuff? This was a crazy delicious that I can't quite understand but can't stop drinking. Big on my radar at the moment is matcha. The health benefits of this albeit expensive green tea is off the scale. In typical Bluebird fashion though, that's not enough. They have released three new blends to their collection; a Ginernut Matcha (oh yeah), Cocoa Matcha and Golden Matcha*. The latter is what I tried and includes the power-spice, turmeric. Although I have been drinking golden mylk before bed for a while, this saves me some time. I heat coconut or hazelnut milk up then whisk a little of the milk with a teaspoon of this powder before adding the rest of the milk and sweetening with honey. It's delicious. 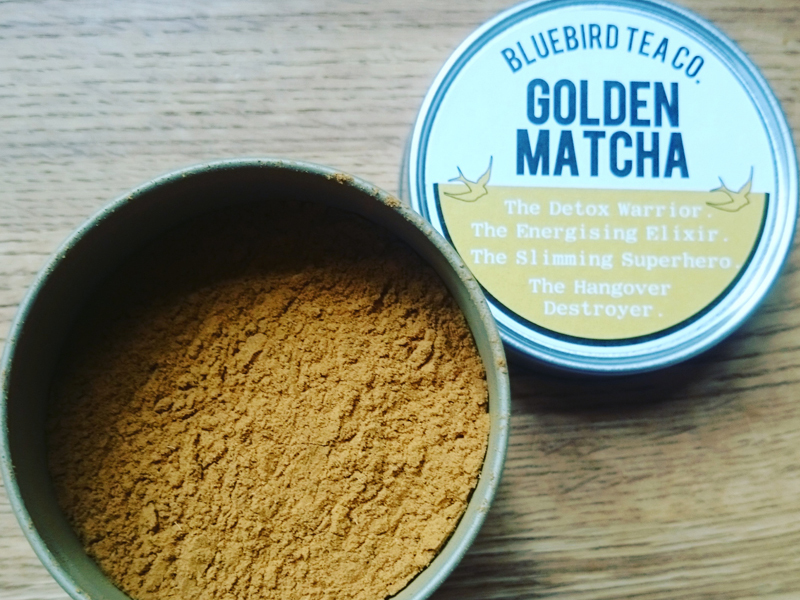 *Technically this version isn't a matcha as it doesn't contain any matcha tea like the others, but has a rooibos base which is handy for a caffeine free bedtime drink. Also good to try is my favourite Gingerbread chai (never without it) or one of their in-store Spiced Pumpkin Pie lattes. Give them a try, the store is worth a visit and staff are really helpful. 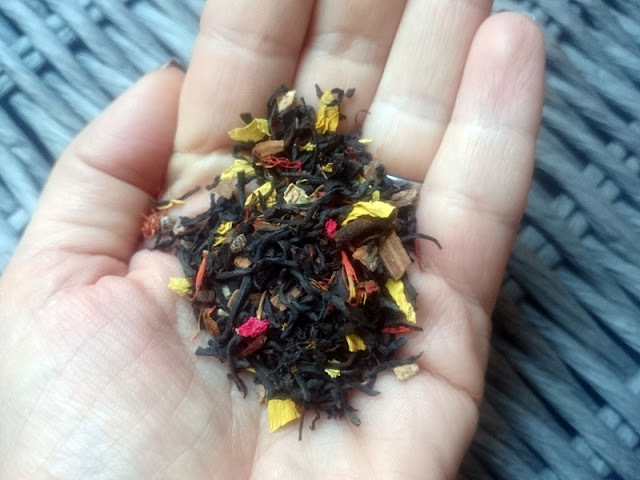 Plus their teas are so pretty with lots of colourful flowers, spices and things like snowflake sprinkles. Visit the full range here. Ps. 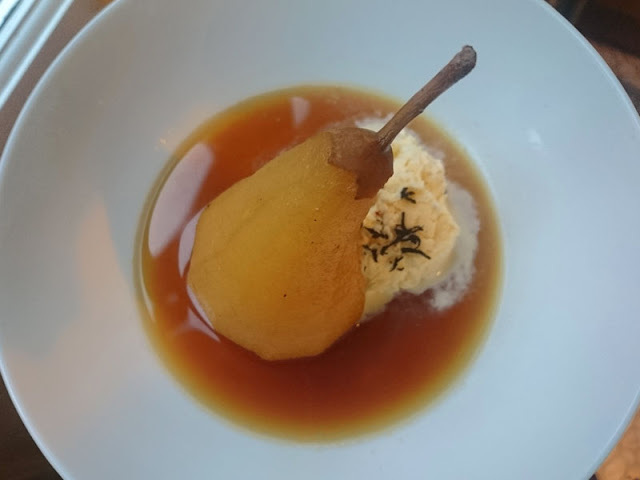 If you haven't already, try out my recipe for poached pears using their Bonfire Toffee Tea. View recipe. I was sent these products for review. Words and content, as always, are my own.